Still Small Voice thanks You! Each year at this time, the hills and valleys around Jerusalem are dotted with white and pink blossoms. They are the almond trees. It is a very beautiful sight, especially after enduring several months of cold and rainy and sometimes snowy winter days in Israel. These trees are a sign to everyone that spring is on its way. But there is also a message in these lovely blossoms. It reminded me of something that happened to us a couple. 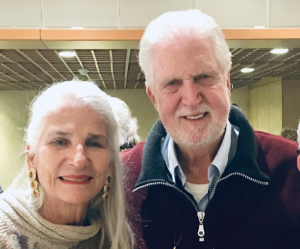 I was writing this story yesterday for Volume 3 – Timeless Secrets – Miracles in the Land of Israel and decided to share it with you. Here is the quote, Photo above: The first almond blossoms in our garden. 6 Then said I: “Ah, Lord God! 9 Then the Lord put forth His hand and touched my mouth, and the Lord said to me: Behold, I have put My words in your mouth. 11 Moreover, the word of the Lord came to me, saying, “Jeremiah, what do you see?” And I said, “I see a branch of an almond tree. 12 Then the Lord said to me, “You have seen well, for I am READY to perform My word. In this last verse, the word ready in Hebrew is “shaqad” which means watching, waking, awake, alert, vigilant, anticipating, on the lookout, to care for watchfully. This significance of this reference may be best understood by seeing the difference between “Shaqad” meaning waking and the word “Shaqed” meaning almond or almond tree. 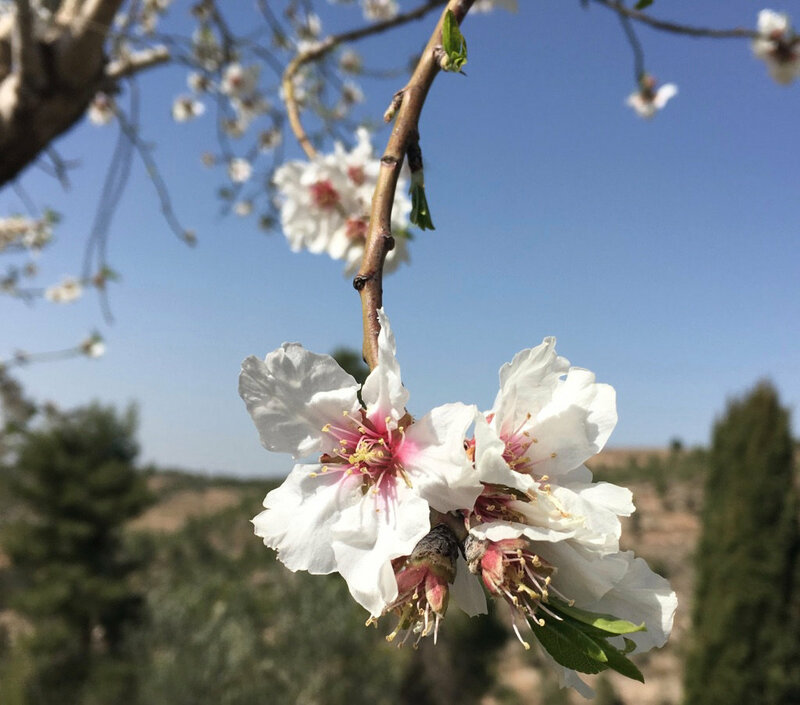 The almond is considered the “waker” in Hebrew thought because it is the first tree to blossom, each year, always watching alertly to be able to blossom. In a way, this tree heralds that spring is on its way and thus it stimulates all the other trees and plants to “wake up” from winter to enter once again their life-giving destiny. Little did we know that soon events would happen that would cause us to enter our eternal destiny regarding Jerusalem, Israel and all of our futures. On July 30, 1980, the Knesset passed the Jerusalem Law stating that Jerusalem is the eternal undivided capital of the nation. This reality goes back three thousand years to King David’s time when he moved the Tabernacle to Jerusalem. That was the moment that we opened The International Christian Embassy in Jerusalem. (ICEJ) on September 20, 1980. This initiative hit the headlines of all major press organizations around the world. I was the Press Secretary at the time. Praise God. Today the ICEJ is the largest Christian Zionist organization in the world because God Himself was READY at that moment to “watch over and to perform His Word.” Amen! Please be encouraged because He is always ready to perform His Word for you and yours. Meridel invites you…Welcome, come and stroll in my garden. This 2019 we Rawlings are on the move. Jay and Joshua are working on a new project in Greece. Chris is busy in Helsinki in high tech and very kindly does all of my website work and the work for Change Action Nepal free of charge. David and wife Adi are in Budapest as I write, and Daniel and I and our office staff are here holding the fort. A garden is a perfect place to still one’s mind and to quiet down. I love to seek out any changes day by day. The fig now has just the tips of new leaves, the roses are in bud, the limes are ripe and the crafty raven hides it’s bread up high in the palm. 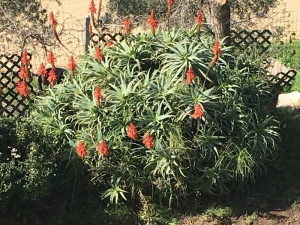 My garden is a safe place, and habitat of many migrating (photo above: aloe in bloom) birds. I am comforted. What we sowed 20 years ago faithfully bears fruit. The universal law of sowing and reaping. After a walk, it’s easier to relax. I have learned to receive the flowing thoughts of the Still Small Voice; like a young child needing her mother’s reassurance. I am hungry for that ‘life-giving’ voice, even as I awaken first thing every morning. But… yesterday I ran outside! 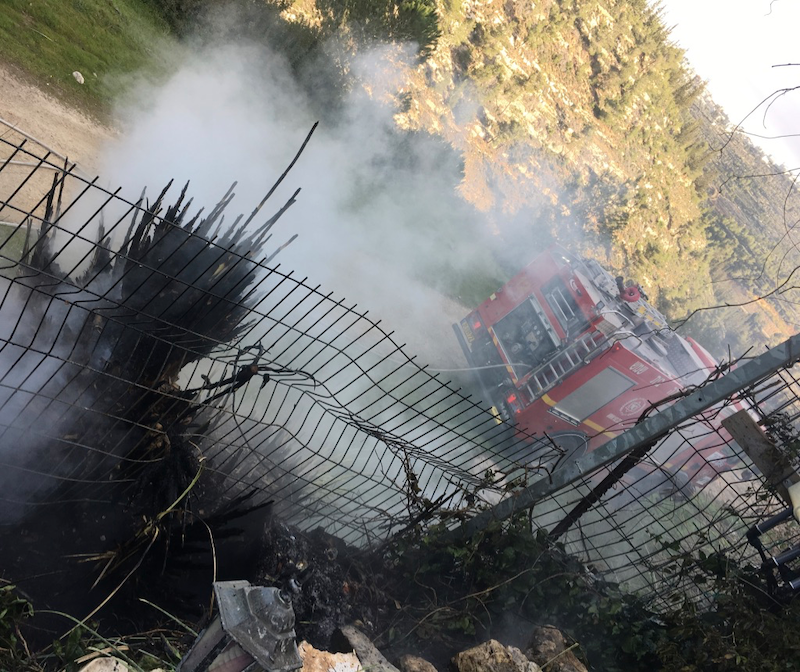 A fire was raging in our tinder dry papas grass located on the eastern border of our property. While my co-worker and I fought the blaze, a jogger passing below on the fire road called the local fire department. It was scary until the fire was out. Later in the day, we found a thunderstorm and torrential rains very comforting. We were glad to be dry and safe. Today I awoke to crystal clear skies and bright Jerusalem sunshine 14 C. Come, for a short stroll with me. Surprise! 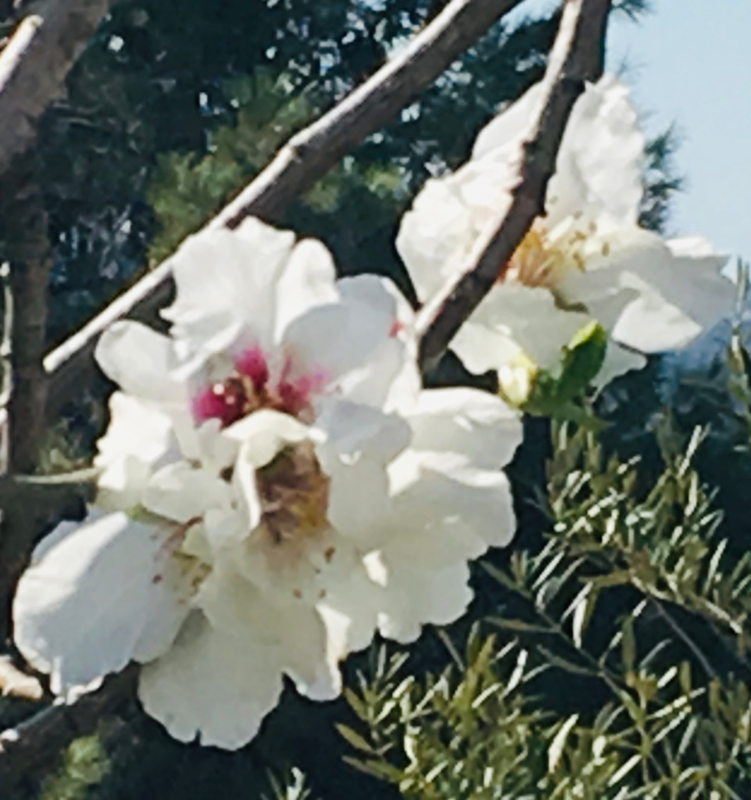 The very first delicate creamy and pink almond blossoms have burst forth after the wild storm. I see them as a gentle reminder of Aaron’s rod that budded. “This shall be a sign to you… and the remnant who have escaped of the house of Judah shall again take root downward and bear fruit upward. For out of Jerusalem shall go a remnant.” Isaiah 37: 30a, 31, 32a. May each one of us continue to be fruitful for the Kingdom. Tiny practical help makes it easier to believe that: God’s mercies are new every morning! He helps me too in quiet content.